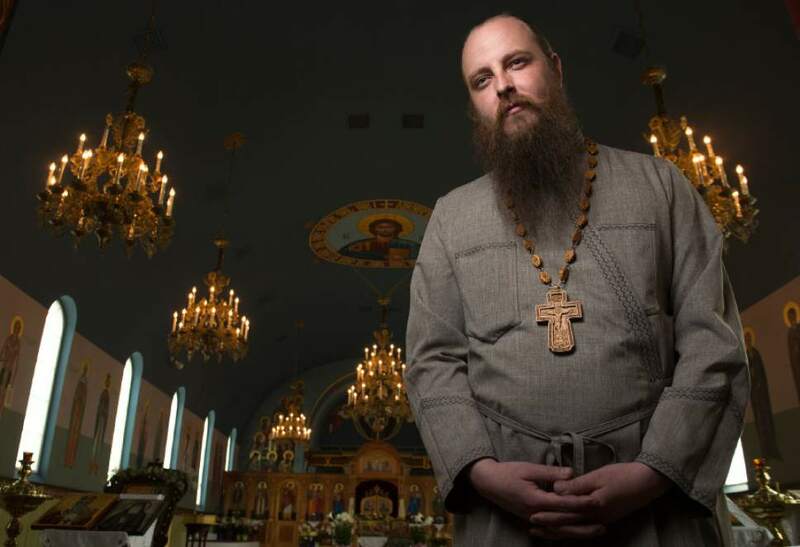 Leah Hogsten | The Salt Lake Tribune Father Justin Havens, a former Presbyterian, is a convert to Orthodox Christianity at Sts. Peter and Paul Orthodox Christian Church in Salt Lake City, Thursday, April 27, 2017. Scott Sommerdorf | The Salt Lake Tribune Worship service at Sts. Peter and Paul Orthodox Christian Church, Sunday, April 30, 2017. 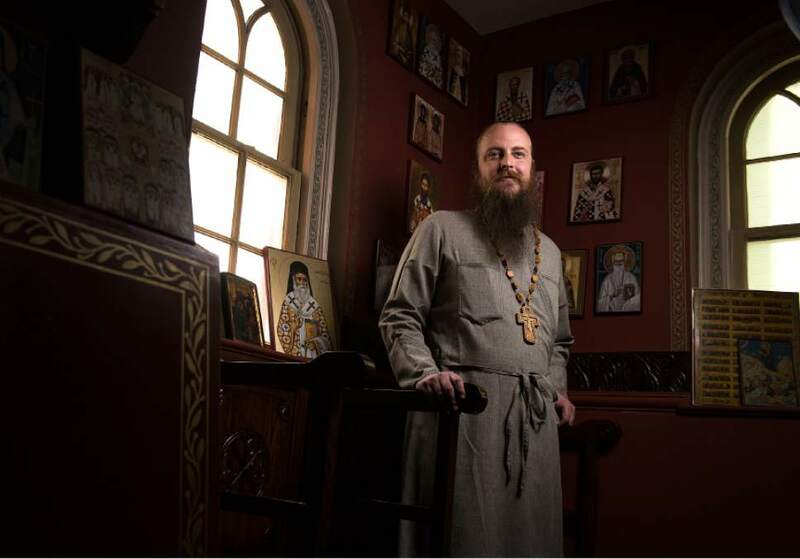 Leah Hogsten | The Salt Lake Tribune Father Justin Havens, a former Presbyterian, is a convert to Orthodox Christianity at Sts. Peter and Paul Orthodox Christian Church in Salt Lake City, Thursday, April 27, 2017. Scott Sommerdorf | The Salt Lake Tribune The.Rev. John Mahfouz during worship service at Sts. Peter and Paul Orthodox Christian Church, Sunday, April 30, 2017. Scott Sommerdorf | The Salt Lake Tribune Father Justin Havens hears confession prior to worship service at Sts. Peter and Paul Orthodox Christian Church, Sunday, April 30, 2017. Scott Sommerdorf | The Salt Lake Tribune Worship services, with congregants standing, at Sts. Peter and Paul Orthodox Christian Church, Sunday, April 30, 2017. 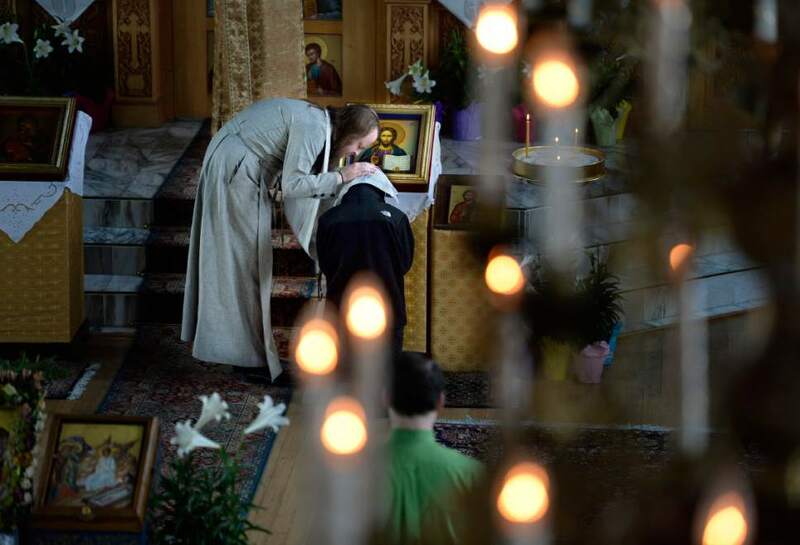 Scott Sommerdorf | The Salt Lake Tribune A young woman bows and kisses an icon during worship service at Sts. Peter and Paul Orthodox Christian Church, Sunday, April 30, 2017. 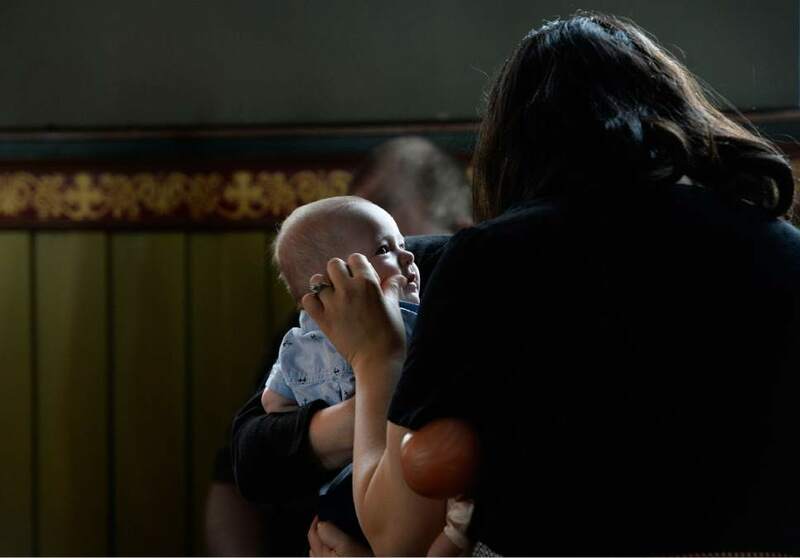 Scott Sommerdorf | The Salt Lake Tribune A baby gets the attention of a worshipper during service at Sts. Peter and Paul Orthodox Christian Church, Sunday, April 30, 2017. Scott Sommerdorf | The Salt Lake Tribune A young girl carefully watches a visitor during worship service at Sts. Peter and Paul Orthodox Christian Church, Sunday, April 30, 2017. Scott Sommerdorf | The Salt Lake Tribune Worship service at Sts. Peter and Paul Orthodox Christian Church, Sunday, April 30, 2017. Scott Sommerdorf | The Salt Lake Tribune Father Justin Havens delivers the homily during worship service at Sts. Peter and Paul Orthodox Christian Church, Sunday, April 30, 2017. It shook the fundamentalist Christian world to its roots: Hank Hanegraaff, the darling of evangelicals as host of the long-running, nationally syndicated "Bible Answer Man" broadcast, had joined the Greek Orthodox Church. 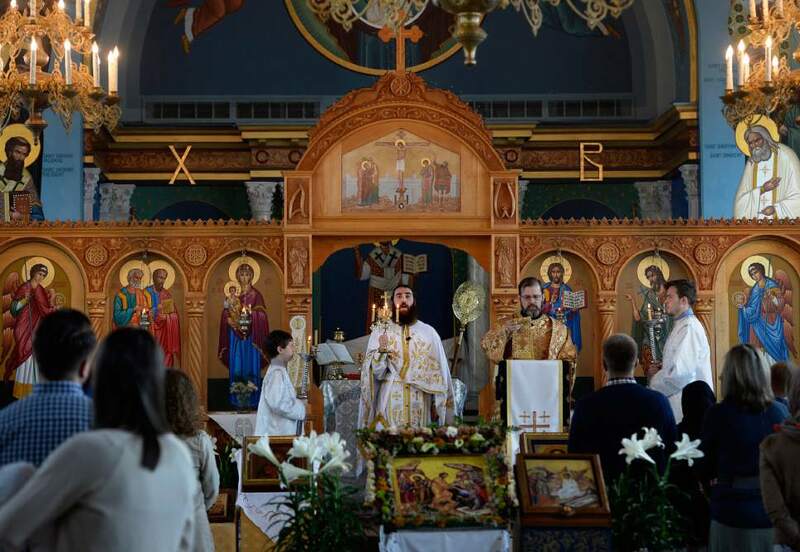 But on Palm Sunday, in a video released via social media, there was the 67-year-old Hanegraaff kneeling for "Holy Chrismation"  a rite of anointing with oil accompanying baptism  inside St. Nektarios Greek Orthodox Church of Charlotte, N.C.
"Nothing could be further from the truth," he countered in a broadcast shortly after he, his wife, Kathy, and two of their 12 children became Orthodox. "Nothing has changed in my faith. ... I have fallen ever more in love with my Lord and Savior Jesus Christ." 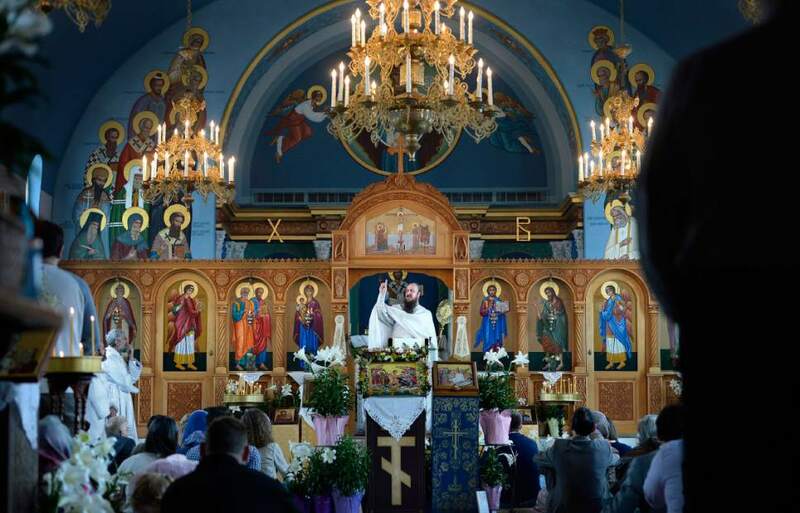 There are no authoritative statistics available, but anecdotally, at least, it appears Hanegraaff is hardly alone in finding a spiritual home in the world&apos;s oldest  and Orthodox believers insist the first and most faithful  Christian fellowship. "We have almost tripled in size since then," Havens says. "I would say 60 percent or more of our parish is made up of converts. About half of those are former LDS [Mormons], and the rest are former Protestants and evangelicals, along with a few former Catholics and Episcopalians." Havens  himself a convert to Eastern Orthodoxy, having been raised Presbyterian  says the congregational growth has left his tiny church "packed to the gills." &apos;Stagnant in my faith&apos; • Suzanne and Bruce Plympton, who drive in from West Jordan on Sundays, are among the former Mormons who found there way to Sts. Peter and Paul. 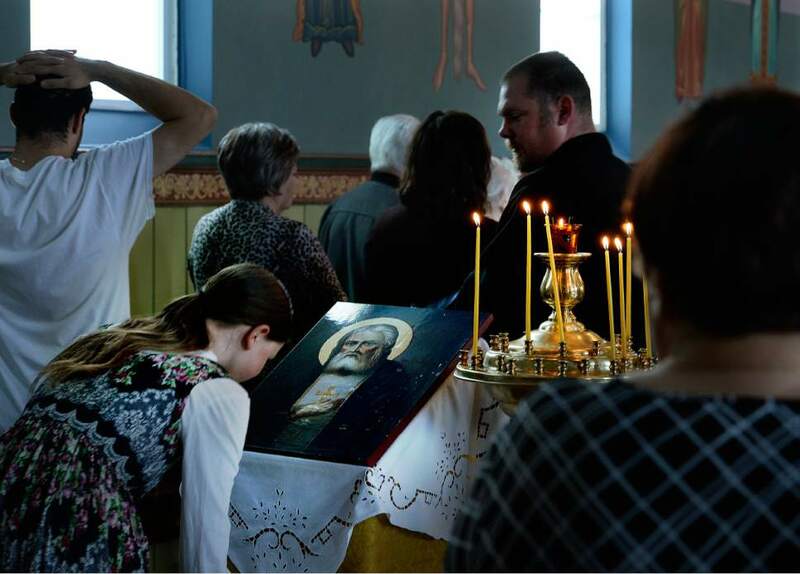 Other converts have found solace in sister Greek, Russian, Serbian and other Orthodox churches in Utah. "We were baptized [into Orthodoxy] nine years ago," Suzanne says, noting her spiritual search first took her from Mormonism to an evangelical Christian church, where she served as a children&apos;s minister and church secretary. "I was stagnant in my faith. I had always believed in God, but it wasn&apos;t changing my life; I wanted to grow closer to him," the mother of four adult children recalls. "Ironically, my sister and her family had discovered Orthodoxy while preparing for a [Protestant] mission to Russia." Encouraged by her sister, Suzanne began visiting area Orthodox services. 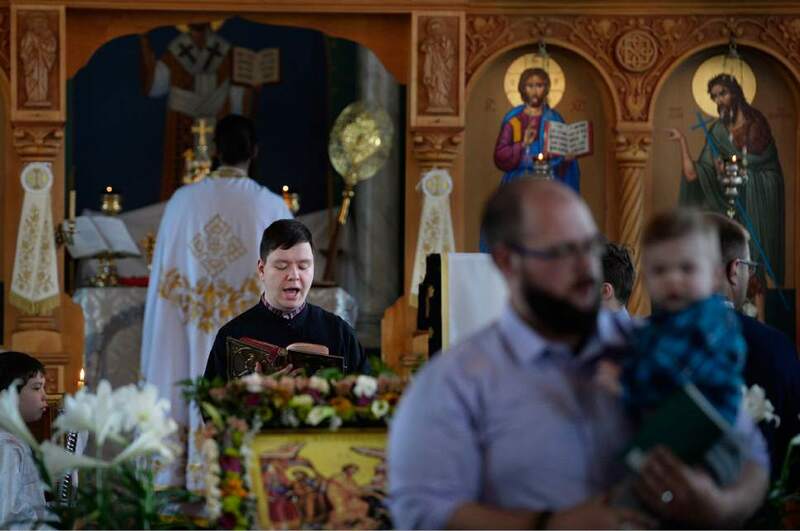 It was a cultural shock  in one case, the service was all in Greek, and the traditional liturgical worship was a far cry from the laid-back, contemporary-music-laced, nonliturgical evangelical atmosphere. "At first, I didn&apos;t understand a thing. But I kept studying it; I had always wanted to know the truth," she says. "I realized the Orthodox Church had been around for 2,000 years, had carefully guarded their theology and had not allowed popular beliefs to change them." "The church that Christ established, that I had been seeking, has always been here," Suzanne says. "I&apos;m part of the body of Christ, and it&apos;s so deep your feet never hit the bottom; there&apos;s so much to learn and experience." "Over the years, I became less convinced in how [worship] was expressed. So much of it was based on emotion," the 64-year-old real estate appraiser recalls. "Emotion&apos;s not a bad thing . . . but it seemed Christ had become way too familiar. Instead of awe and reverence, to me, it seemed it was just too easygoing and relaxed." Then, during a visit with friends, Scouler and his wife, Marie, met "Father Justin." They struck up a friendship that led to discussions over coffee and, eventually, a regimen of extensive reading about what the original New Testament church was like in beliefs and worship. Then, there&apos;s the idea of soliciting the prayers of saints, and Mary, the mother of Jesus. To Protestants and especially evangelicals and Pentecostals, the concept of "Holy Mary, Mother of God" is foreign, if not heretical. "It seemed so &apos;Catholic,&apos; you know? But then we understood it was not worshipping her, but giving her honor," Scouler says. 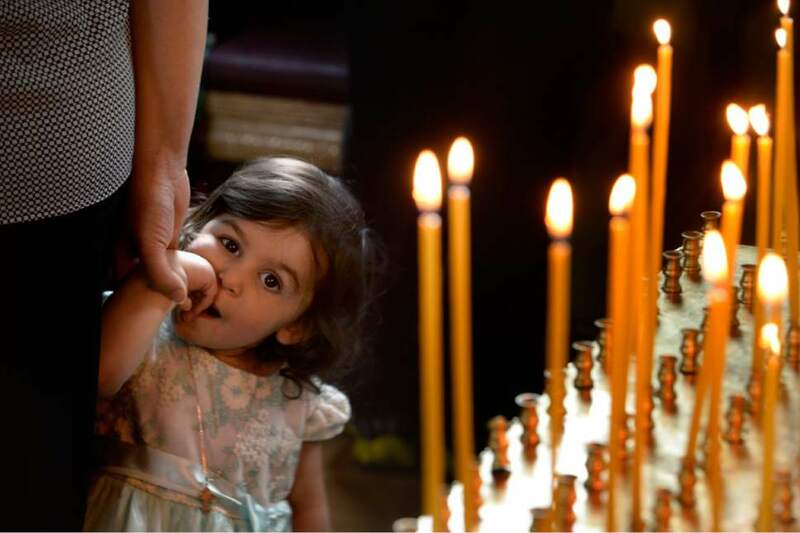 "One thing I like about Orthodox worship is [it emphasizes] God&apos;s majesty. There is honor given that is, after all, quite fitting for God. "It&apos;s like I&apos;m home, like I&apos;ve got my faith back; the awe of it all is back," he adds. "I&apos;ve got that real desire to serve [God] and please him." 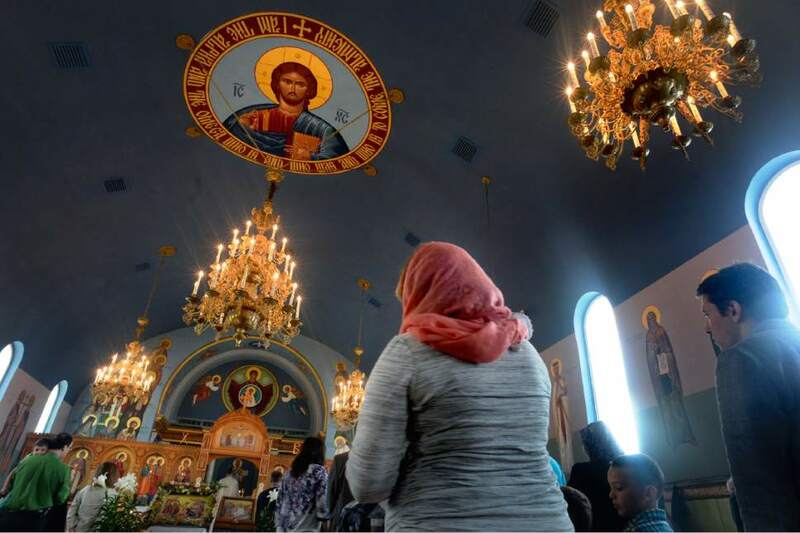 Quest for truth • Cameron Davis, who now attends South Ogden&apos;s Transfiguration (Greek) Orthodox Church, says studying Christian history was an important factor in his 2014 conversion. The 30-year-old father of two, who holds philosophy and political science degrees from Utah State University, concedes that he is "by nature skeptical, second-guessing, and slow to make decisions; so my conversion to Orthodoxy was a pretty sober development." While the richness of liturgy and worship in an Orthodox setting is often cited as spiritually fulfilling, Davis  while acknowledging such benefits  characterizes his conversion as more about "what is and isn&apos;t true" about such things as the Trinity, the nature of God and other doctrines he found at odds with Mormonism. The Church of Jesus Christ of Latter-day Saints, in preaching that the prophet Joseph Smith "restored" the original Christianity, is one of a long, well-populated line of movements seeking to do the same since the Great Schism tore the faith&apos;s Western and Eastern branches asunder in A.D. 1054. Now, Davis believes that foundational first-century Christianity has never disappeared, and that its home is the "Orthodox Christian spiritual tradition [he found] more beautiful and compelling in light of my reading of history and theology." The Great Schism not only ripped the Roman Catholic Church from Eastern Orthodoxy over such issues as papal authority, creedal changes and the nature of the afterlife, but it also led to further fracturing through the centuries. The 16th century&apos;s Protestant Reformation split the Roman church, and then the reformers further divided into competing denominations. Today, the World Christian Database notes, the "body of Christ" has splintered into no less than 9,000 denominations  each, to varying degrees, purporting to restore the purer, ancient faith founded by the first generation of believers. But the former special-education teacher, raising seven children with wife Seraphima, has found his peace  and purpose. It wasn&apos;t always so. After leaving behind his Protestant upbringing, Havens says his search for spiritual truth was at times agonizing. "I went through hell," he recalls. "I was never an atheist, but I went through a time of confusion. There were so many denominations, often with diametrically opposed ideas." Through prolonged study and reflection, Havens discovered the Orthodox Church and sustaining traditions built by communities of "ancient Christians [who] were serious about their faith," even to the point of a martyr&apos;s death. "You can&apos;t do it on your own," he says. "It&apos;s an everyday thing, touching everything you do; it is living, breathing and alive." Having tripled its number of worshippers in less than a decade, downtown Salt Lake City&apos;s Sts. 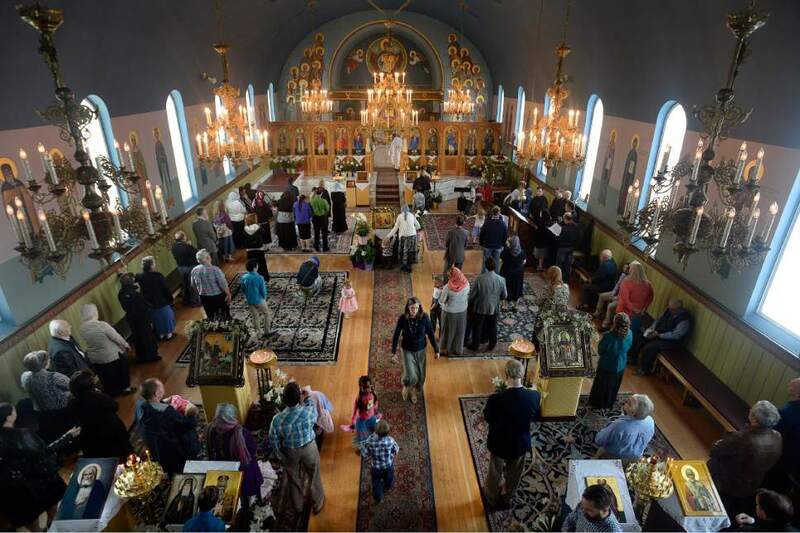 Peter and Paul Orthodox Christian Church is looking to build a new, 10-acre campus along the line between Salt Lake and Utah counties. Realizing that dream, however, could take something of a miracle, the Rev. Justin Havens acknowledges. But as priest and pastor of the current church at 355 S. 300 East, Havens is a believer in divine intervention  in the form of finding a rare, affordable parcel; perhaps with help from donors. Architectural plans for the new, Byzantine-style church include room for at least 700 worshippers, a parish school, gardens, fountains, chapels, a playground and youth sports field, gymnasium and something the current church does not have  sufficient parking space and an Orthodox cemetery. The current Sts. Peter and Paul would continue full services along with its long-established homeless and college student outreach ministries. But after 29 years downtown, the congregation needs more space. More details about the building project can be found at http://www.saintspeterpaulchurchcapitalcampaign.org/.